Marouane Fellaini has signed a new two-year contract at Manchester United, the club said on its website. The new contract will see the 30-year-old stay at Old Trafford until 2020, with the option to extend for a further year. Jose Mourinho had faced the prospect of losing the Belgium international on a free transfer at the end of this month as his deal was due to expire. “I always believed in his desire to stay with the club and I am delighted that he has signed a new contract,” the Red Devils manager said. 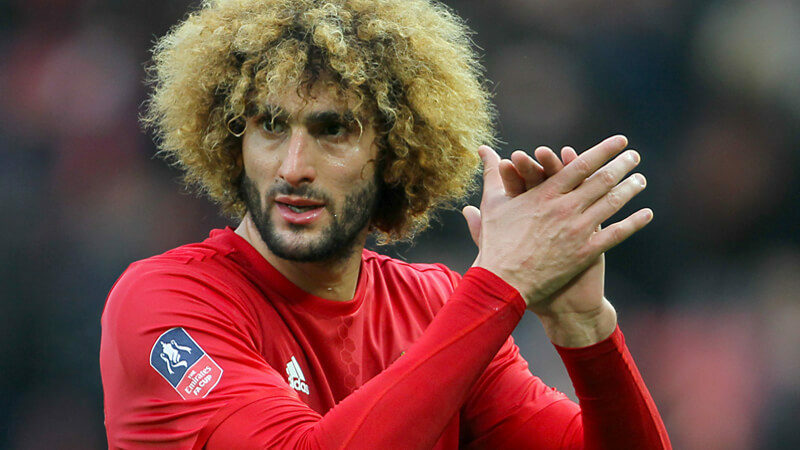 Fellaini had received offers from AC Milan, Paris Saint-Germain, Galatasaray and the Chinese Super League. The midfielder’s representatives also had a meeting with Arsenal’s head of recruitment Sven Mislintat about a switch to United’s Premier League rivals. The Belgium international who is currently representing his country at the ongoing FIFA World Cup, joined United in 2013 and has made 156 appearances and scored 20 goals. During his time at the club he has won the FA Cup, EFL Cup, UEFA Europa League and Community Shield.